Best Friends T-Shirts: Because There Is Only One BFF! Do you have a brother from another mother? How about a sister from another mister? 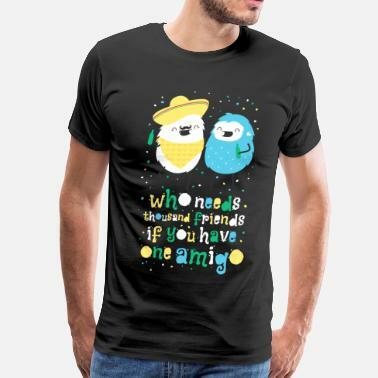 If you do, these best friend t-shirt designs are perfect for you! Show the world that you and your BFF mean business, that you’re not to be messed with. Check out all our great best friend (a.k.a. bestie) shirts, as Spreadshirt has the best friend designs that you might be searching for. 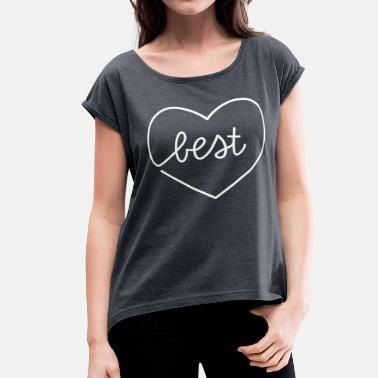 Skip cheap store-bought styles and browse our massive selection of t-shirts for best buddies. From ‘That’s My Best Friend’ logos to artistic BFF designs, you will no doubt find exactly what you are looking for. Our matching best friends t-shirts are both unique and witty. We even have some awesome and crazy styles with funny sayings too! 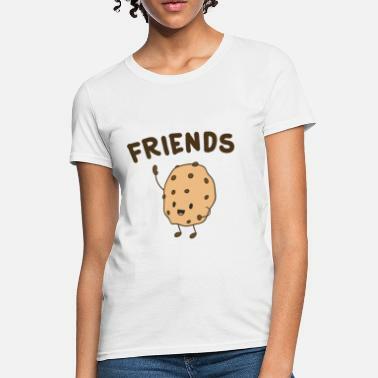 Purchase cute bff shirts for you and your bestie as a gift, or make a pair of #bestfriends hoodies or sweatshirts for you and your best pal. What better way to express your gratitude for a special friendship? Browse the diverse designs in our Marketplace. We have plenty of prints with different themes ranging from food to hearts and much more. Perfect for both guys and girls, your clothes are sure to show your appreciation for your favorite friend. No matter if your BFF is your mom, dad, a boy or girl, they will surely love their new stylish t-shirt. Get your new best friend t-shirts today! From ‘best buddy’ tee to ‘two peas in a pod’ shirts, Spreadshirt.com has exactly what you need for yourself or for gifts for your family and friends. Shop our marketplace now!